Buffalo is the City of Good Neighbors, and as good neighbors, we should respect our community and be proactive when it comes to caring for it. The environment is such an essential part of life and recycling is an easy way to protect the earth, save resources, prevent pollution, improve the appearance of our neighborhoods, and reduce waste. Yet almost 90% of what we throw away could potentially be reused, recycled, or composted. Recycling is not a “one and done” program. It is a long-term process that requires consistent effort to be successful. Implementing tiny changes and making adjustments to your daily routine can lead to positive change. In my Ecology and Conservation Assembly Program “Pollution Solution” I teach students about conservation, why it matters, and about how people, animals, and every living thing benefits from a cleaner environment. Students also learn to identify trash versus recyclables and how to reduce, reuse, and recycle. As a community, we can work towards a better, cleaner environment by caring for our local parks! Buffalo has some truly stunning landscapes if you know where to look. Take the time to visit these local parks and gardens and if you see trash or litter, take a moment to carefully and safely dispose of it! What are your favorite Buffalo parks? Take a picture of you and your family enjoying the outdoors and tag me on Instagram at @crisjohnsonsassemblies or share your photos with me on Facebook at @CrisJohnsonSchoolAssemblies. Also known as “The Caz”, go here to take a stroll, play golf, or have a picnic! Glen Park features a picture-perfect duck pond and waterfall for the perfect spring or summer selfie! Delaware Park is a home for all. Play golf, basketball, or baseball. Walk, run, roller skate, or bike. Visit the Zoo. Attend Shakespeare in the Park. Or hop across to the Delaware Rose Gardens for rowing on Hoyt Lake, a stroll through the roses, or to Albright Knox Art Gallery. This stretch of greenery lining the Niagara River is perfect to walk, run, bike, or skate alongside the water. Have a picnic. Take out your boat or jet ski. Or grab ice-cream at Mississippi Muds! The perfect hang-out spot for BBQs, family parties, or pick-up sports game. Or hit the beach for volleyball, swimming, and achieving that perfect tan! Visit the “Coney Island of WNY” for a vintage carousel ride or shopping! 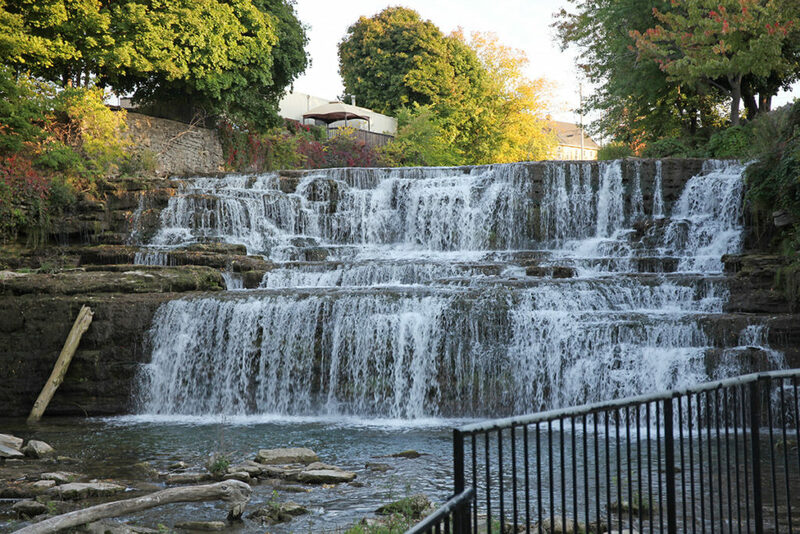 Shop, dine, and explore one of the most majestic spots in all of WNY. Niagara Falls is a definite must-see! Hike, walk, bike, skate. Bring your friends, bring your dogs. The opportunities for fun are endless! Discover the true importance of environmental protection and conservation in this 264-acre nature refuge. Hike the trails. Bird watch. Take a guided walk. Fish. This is a great place to take your students on a field trip that is both fun and educational!